The photos are in, and Jenny and I are adorable! Oh, the joy of the early miles. Little did we know what was in store in the hours ahead. 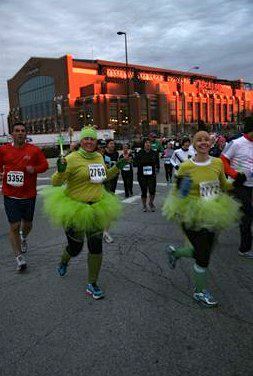 Almost no one knew we were running this race. We made our plans quietly and kept a lid on our excitement, refraining from sharing any information on social media or within our running groups. This is counter intuitive to many, because the running community is robust and supportive regardless of a runner's age, pace, ability or race goals. Even so, when you share your plans, it makes it very real. When you tell people you're doing a race, they want to talk about it, help you plan and ask you how you're feeling. This is great, but when your nerves are already thin, it can force you to think about the race even more, and create problems and anxieties that didn't exist. 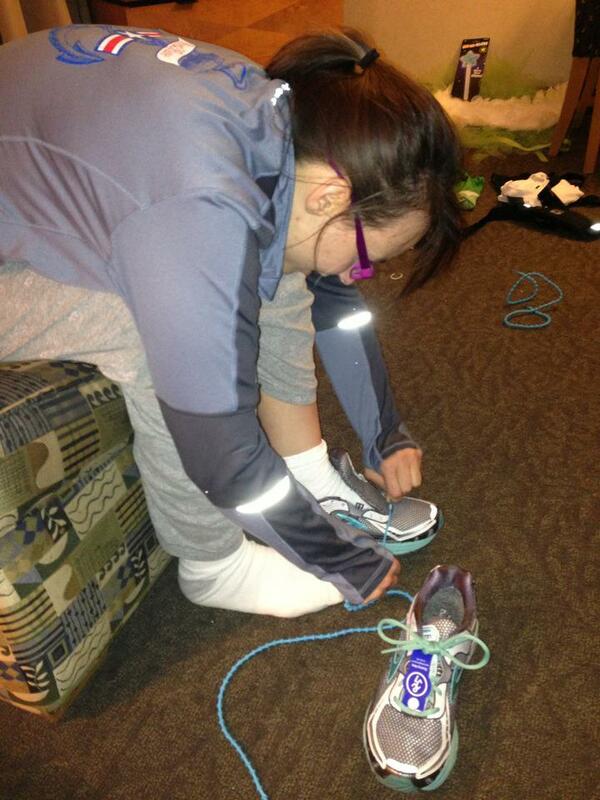 The night before the marathon, Jenny even said "I can't believe we're running a marathon tomorrow." I had to laugh about this, because the idea that either of us were running a second marathon in less than two months was kind of hilarious. Jenny ran two marathons in 27 days. Impressive in itself, this is only compounded by the fact that just a little more than a year ago, Jenny had to learn to walk. She had extensive nerve entrapment release surgery that left her in a wheelchair. To this day, she has neuropathy, which causes constant pain and sensitivity in feet. 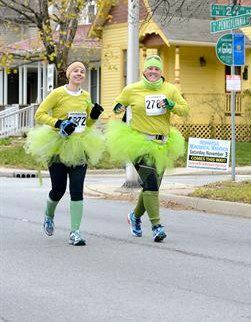 And yet, we are marathoners. Again. A secret marathon allowed us to run our race for us without stressing about any of the details. The tagline for the race was "A great place to set your pace." And that we did. I think it's awesome you made it an undercover mission! lol. Thanks! 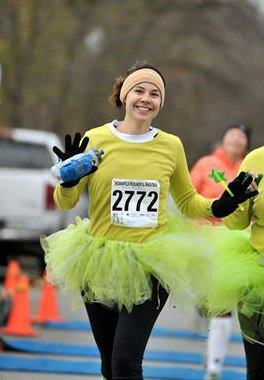 Tutus are really the only way to run. We had wings, too, but rain was predicted, so they stayed at home. Congrats on running 2 marathons within 2 months! I can only handle 2 a year! And that's as many as I intend to do as well. My body is not happy about the abuses I've brought upon it. I love your costumes! I didn't notice the wands on FB! So cute! I totally get wanting to keep plans secret. For me, sharing my goals doesn't really motivate me or make me do better. 2 marathons in 2 months...total BAMF :) I would've probably kept it a secret too...sometimes it's just too nerve-wrecking to share!